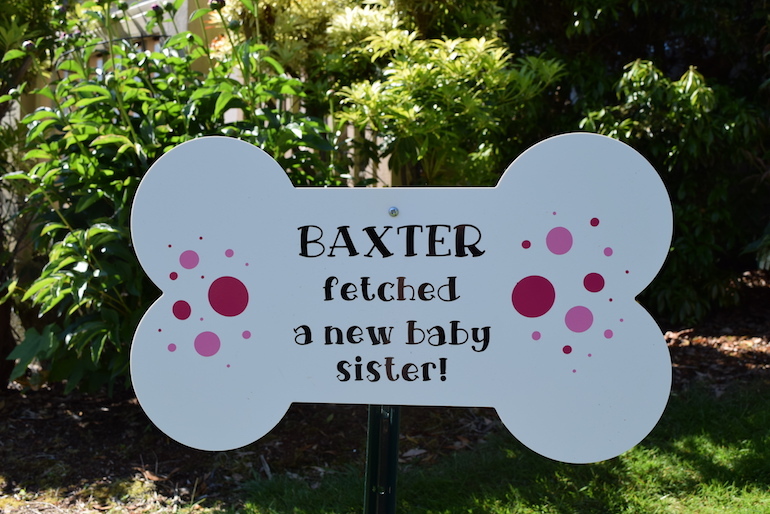 Reserve Your Yard Announcement Signs Now! 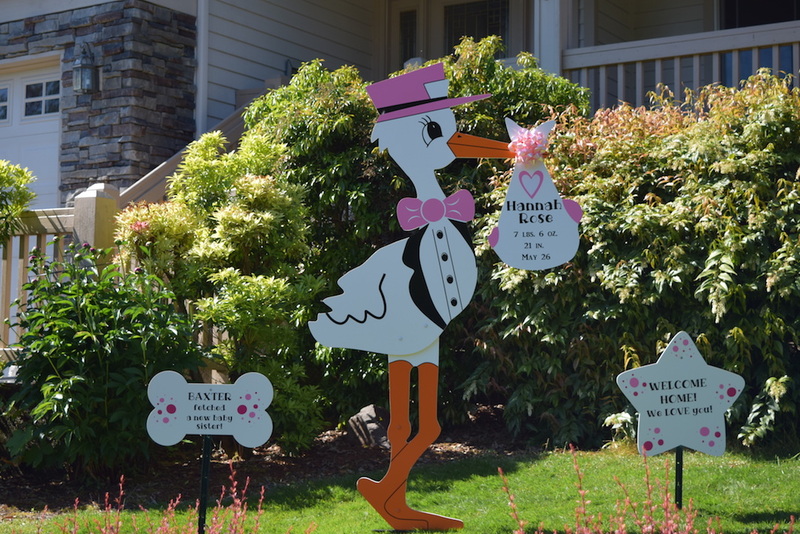 Browse through any of our yard sign categories, or create a custom yard card here. 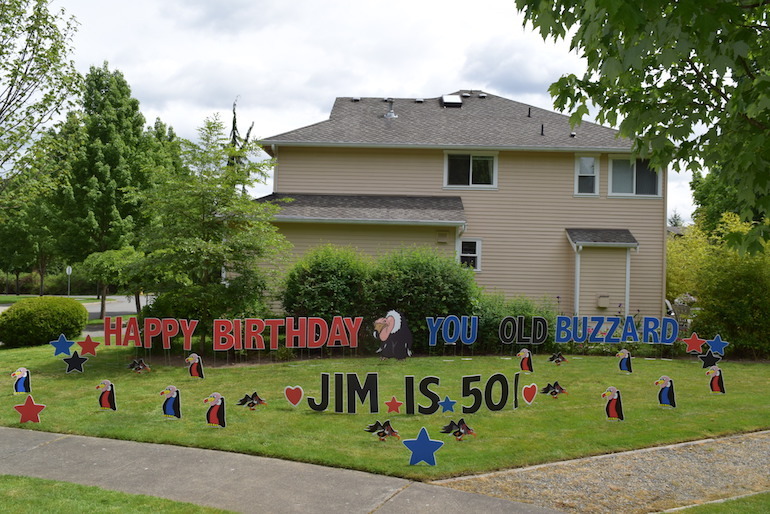 Happy Birthday You Old Buzzard! 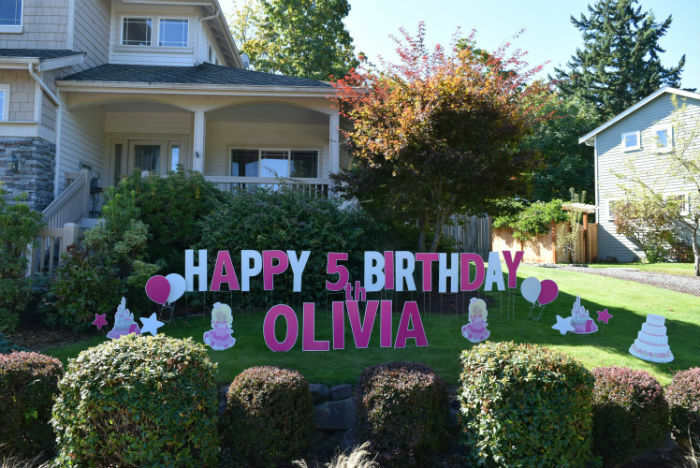 Have a Question about Yard Announcements? 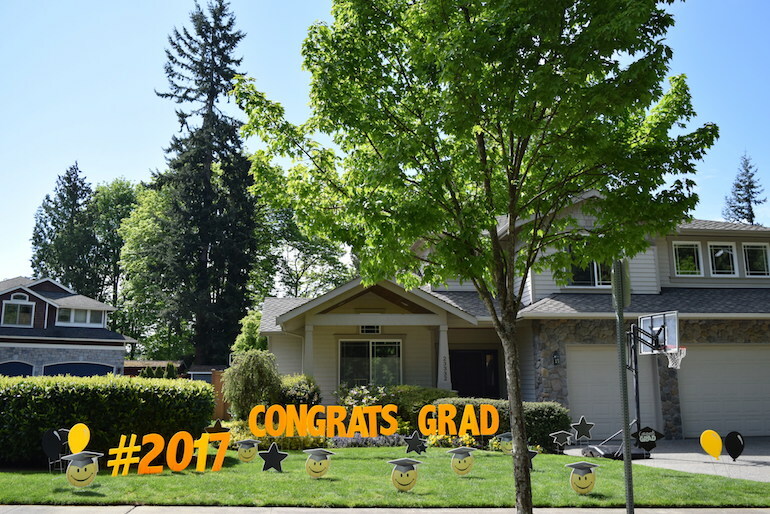 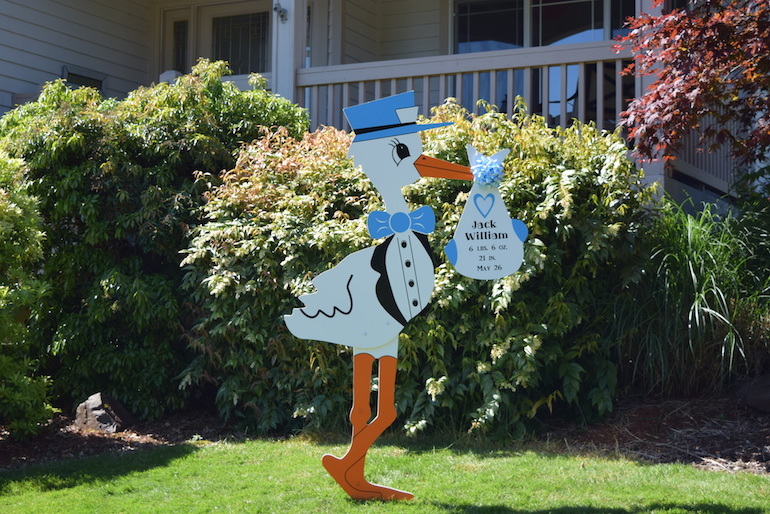 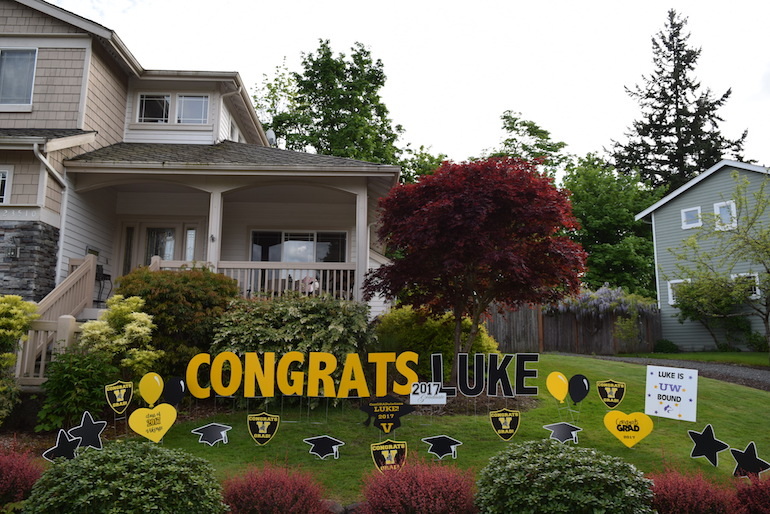 Yard Announcements is located in Bothell, WA and proudly serves the communities of Bothell, Woodinville, Kenmore, Kirkland, Redmond, Bellevue, Mercer Island, Mill Creek, Lynnwood, Mukilteo, Everett, Snohomish, Mountlake Terrace, Shoreline, Lake Forest Park, Lake City, Maltby, Edmonds, Renton, Mukilteo, Duvall, Sammamish, Issaquah, Lake Stevens, Marysville, Monroe and North Seattle, Washington. 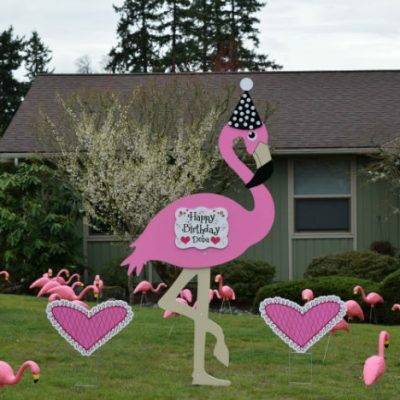 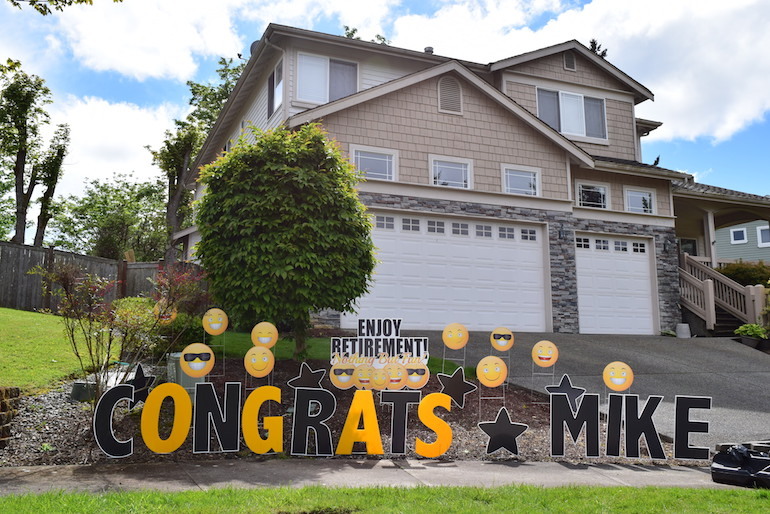 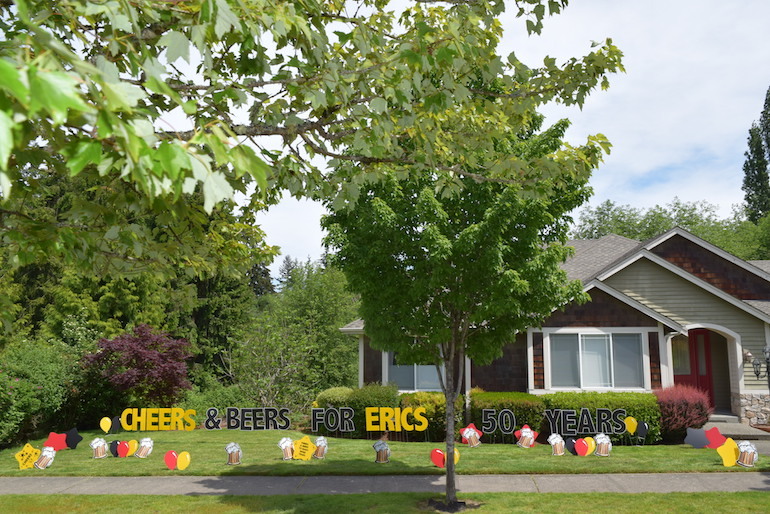 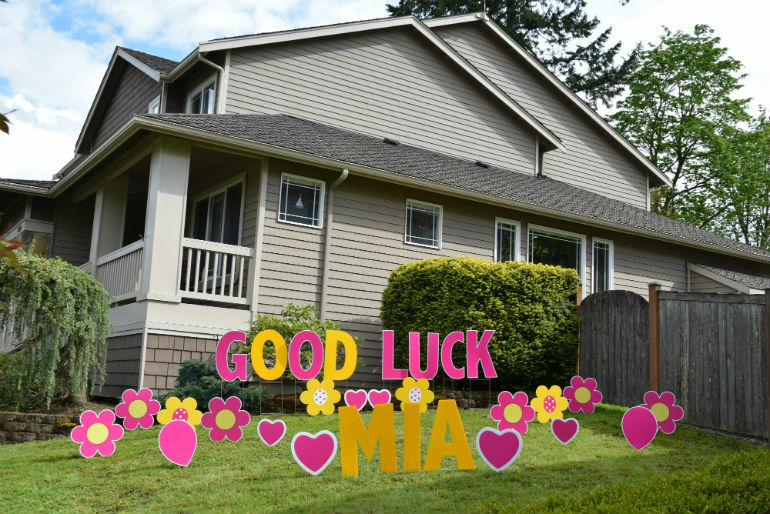 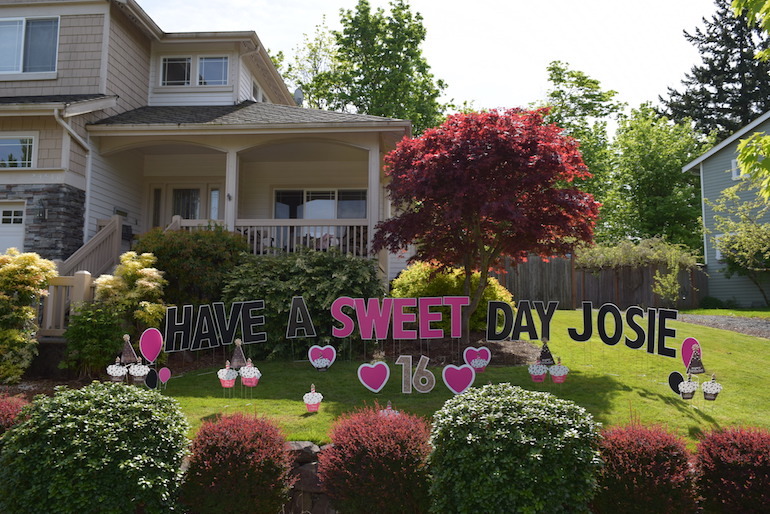 We travel around the Eastside through King and Snohomish County making people’s day. 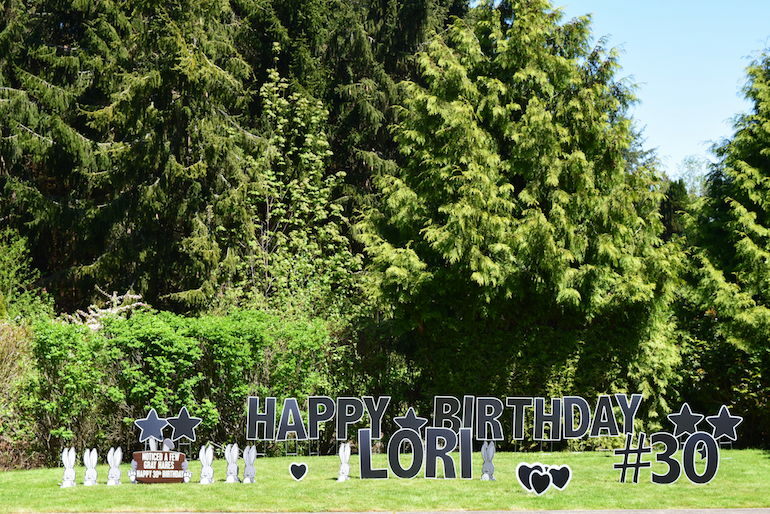 Please contact us if your city isn’t listed as we may be able to accommodate you. 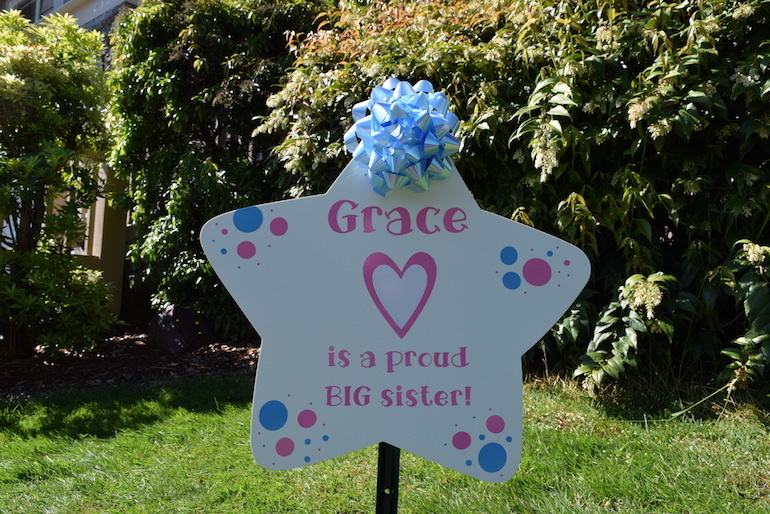 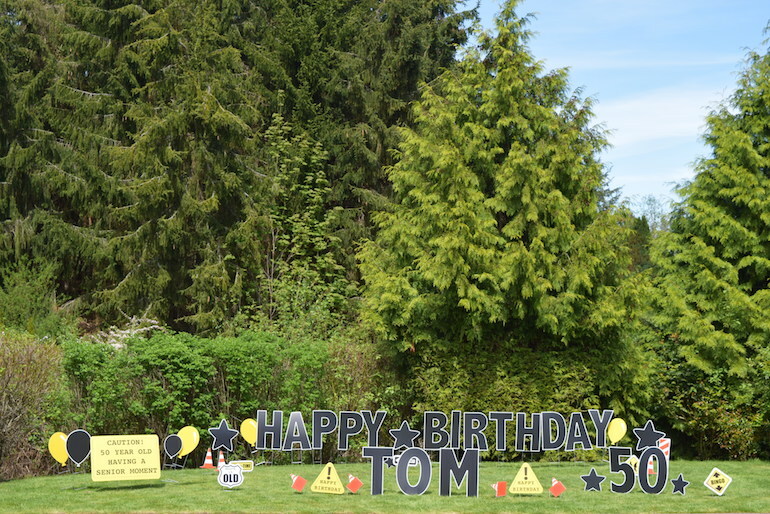 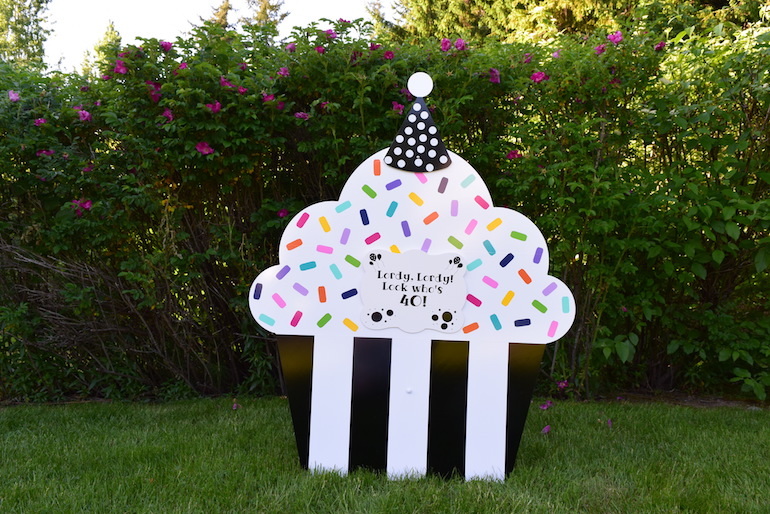 Rent a sign display for your next special occasion!